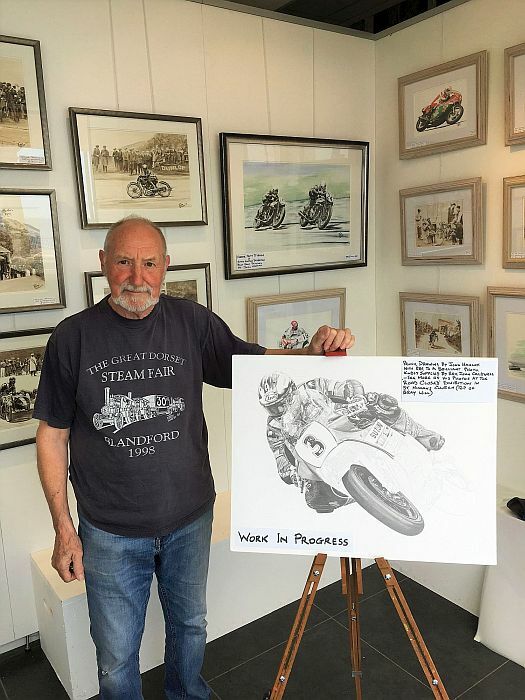 Don’t forget to call into The Sayle Gallery to see my motorcycle racing art exhibition which is running throughout TT fortnight. There’s a display of framed prints and original artwork plus greetings cards, mugs and unframed prints available for sale. This ‘work in progress’ sketch of Michael Dunlop is also on display so call in and check it out! I’ll be spending a bit of time in the gallery during TT fortnight to chat about my art and sign prints / cards etc. so it would be great to see you.